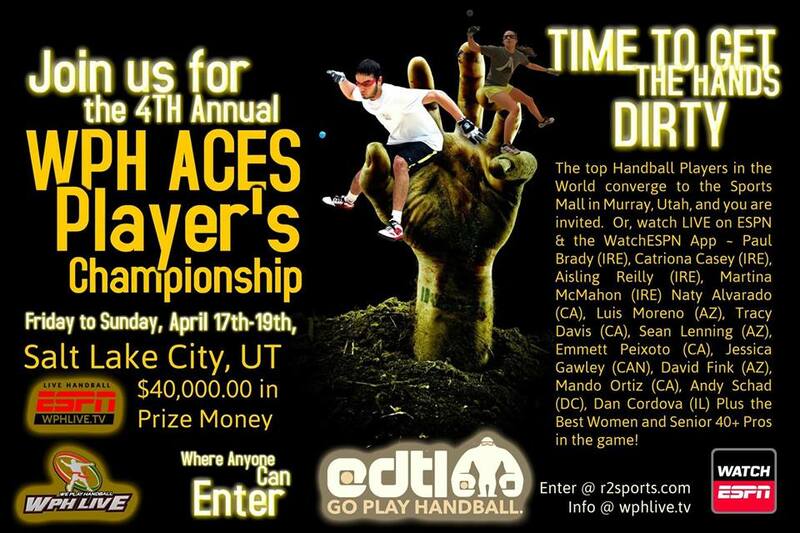 Salt Lake City, UT, WPH Press, 3/30/15-­‐ The World Players of Handball and Ace Disposal are proud to host the 2015 WPH Aces Player’s Championship, Powered by ESPN and Presented by EDTL Handball, featuring four-­‐time defending world champion and nine-­‐time Race 4 Eight champion Paul Brady and the six-­‐time undefeated Women’s Race 4 Eight Champion Catriona Casey at the Sports Mall, 5445 S 900 E, Salt Lake City, UT, 84117, from April 17th-­‐19th. Current and four-­‐time world champion Paul Brady, coming in from his home country of Ireland for this event, will be aiming for the first “perfect season” in Race 4 Eight history, on the heels of his dominating victories at the WPH R48 IV Stop #1 at the Simple Green U.S. Open in October of 2014, the WPH R48 Stop #2 in Tucson, AZ in November of 2014, the WPH R48 Stop #3 in Houston, TX in January of 2015, the WPH R48 Stop #4 in San Francisco and the WPH R48 Stop #5 in New York City. Brady is unquestionably the best player of his generation and arguably the best player of all-­‐time, losing just two matches between 2005-­‐ 2014, while winning every major title in the sport. Brady will be seeking to regain the WPH Player’s Championship after being shocked in last year’s Player’s Championship quarterfinals by California’s Mando Ortiz. 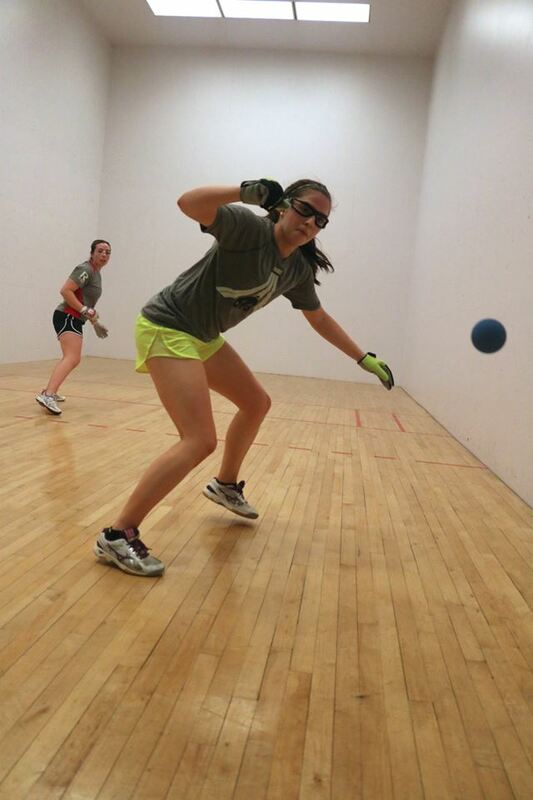 The world’s top women handball pros will also be in action in Salt Lake City, as the Women’s Race 4 Eight #1 Catriona Casey will aim to keep her perfect Women’s Race 4 Eight career intact against the top women’s pros from the United States, Ireland, and Canada. Casey has won all six WPH Women’s Race 4 Eight events ever held since the inception of the WR48 in October of 2013, and shows no signs of stopping, scoring an inconceivable 76 consecutive points at one point this season en route to victories in Southern California, San Francisco and New York City. Casey will likely face her greatest rival, Aisling Reilly, in Salt Lake City’s final. Casey and Reilly have met in the final of every major ladies championship since 2013. Play begins Friday morning at 9am, April 17th, with live ESPN broadcasting starting on Saturday, April 18th. The event concludes on Sunday afternoon, with the finals—all at the Sports Mall! WPH RACE 4 EIGHT: The World Players of Handball’s Race 4 Eight IV powered by ESPN and EDTL Handball features six regular season stops, culminating in The Player’s Championship in Salt Lake City, UT April 17th-­‐19th, 2015. Each Race event is broadcasted live on the Watch ESPN app. New York City in March of 2015, and the Player’s Championship and final event April 17th-­‐ 19th 2015 in Salt Lake City.